Chestnut Charm - Modern + Safe 1BDR in Downtown! 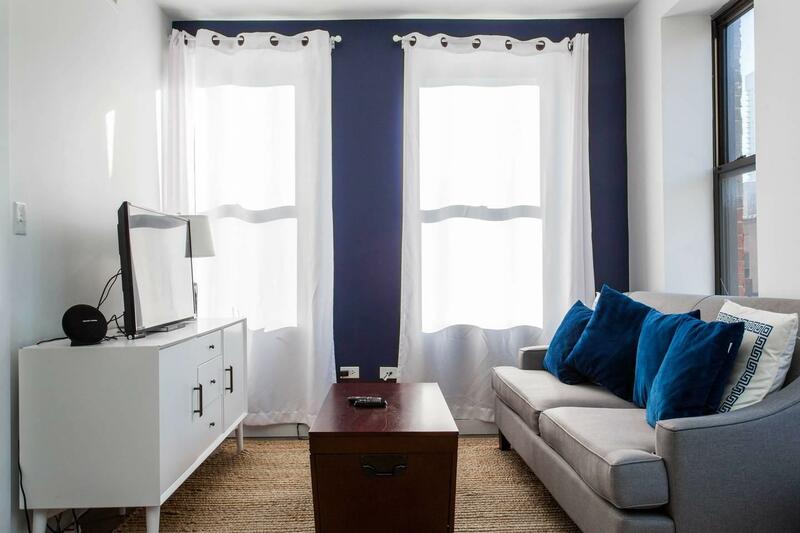 Welcome to our chic 1-bedroom apartment in Chicago's West Loop neighborhood! Thoughtfully appointed and centrally located, we are sure that our guests will find it easy to make themselves at home. Guests tell us that they love the modern amenities, the proximity to public transportation, and our comfy memory foam beds. We welcome business travelers, urban explorers, students, small families, and everything in between! This apartment is on the third floor of the building, which we share with other long term tenants. We don't have an elevator, so you'll have a chance to work off some of that famous Chicago deep dish pizza! Guests will have be able to make use of our fully equipped kitchen, in-unit washer and dryer, and can enjoy an evening watching TV and hearing the faint sounds of the city. Guests have access to the entire apartment! We don't live on-site but we are always nearby to answer questions or give recommendations. Chicago's West Loop is one of the fastest growing sectors of the city. Home to Millennials, Baby Boomers, business people, students, hipsters, and everything in between, you are sure to find something that suits your tastes in the West Loop. Public transportation is a breeze! There is an L stop just a short walk away, or you can catch a bus and get a little more off the beaten path. There is no parking available unfortunately, we recommend using parking apps like SpotHero. We are near the train but have white noise machines to drown out any noise! If you are a light sleeper, you may want to bring some ear plugs. Hi, Thanks for taking a look at our special homes. My name is Noah. A few years ago, my family and I got together to create an amazing experience for tourists and guests like you. We are Chicagoans who love sharing our city with the world and strive to make your stay as comfortable as possible so you can enjoy the city like a local. You can find us hanging by the lake, catching a game at Wrigley, grabbing a drink in Wicker Park, enjoying the many concerts going on on any given night, or at any of the amazing local coffee shops across the city. Comfy Wrigley 3BDR - Steps to Cubs Stadium&Train! Breathtaking 6BDR Luxury Condo | Downtown Chicago! Spacious Split-Level - Great for Groups! 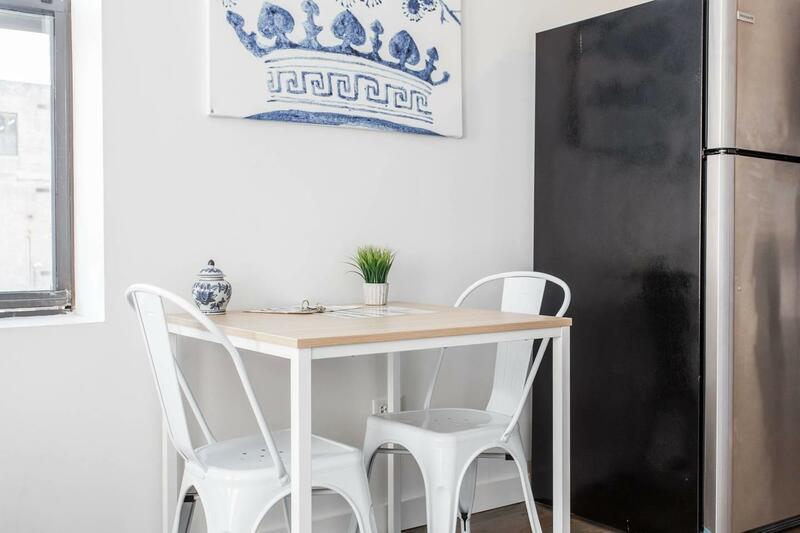 The Stratus - Vibrant Studio in Heart of Downtown! Sycamore Sunset - Modern + Safe 1BDR in Downtown! HUGE 4 BDR Chicago Cottage- Near Train & Downtown! 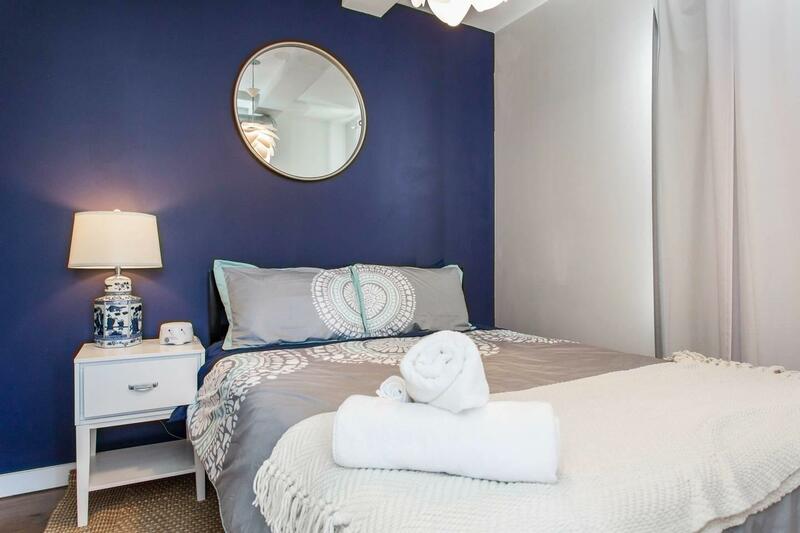 The Gulfstream-Vibrant Studio | Heart of Downtown! Chicago - Homebase in Wrigleyville! Near Red Line! Unique Wrigleyville GEM - SAFE & Walk to Train! Spacious & Private 3 BDR Luxury Condo in Downtown! The Irving Masterpiece❤️Wrigley, Parks, Oh my! Black Walnut - Modern + Safe 1BDR in Downtown!